For a 2015 hike up with my sons with better pictures, go here. Because this page is only about the observation tower. You know how in California the locals are always bragging about how they can surf at the beach in the morning and hit the slopes for some skiing in the afternoon? Well, our own little version of that is here, at Mt. Tom State Park out in Litchfield. There is a small pondside beach here and of course the mountain to climb. I made the hike in my swim trunks while my family played at the beach. I can’t think of a more perfect day. The summit of Mt. 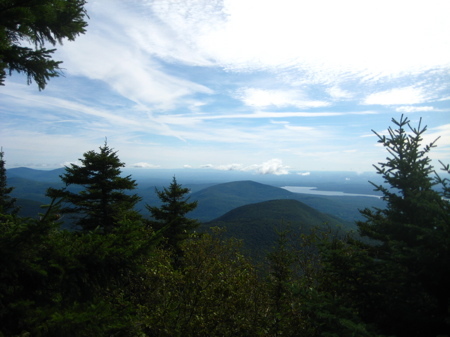 Tom is 1325 feet above sea level, 125 feet higher than its more famous and recognizable Massachusetts counterpart. 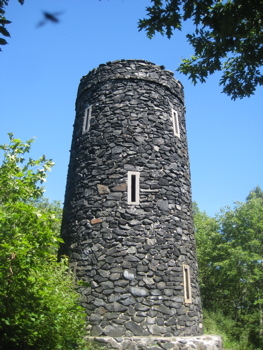 The tower trail is less than one mile long and rises some 500 feet. 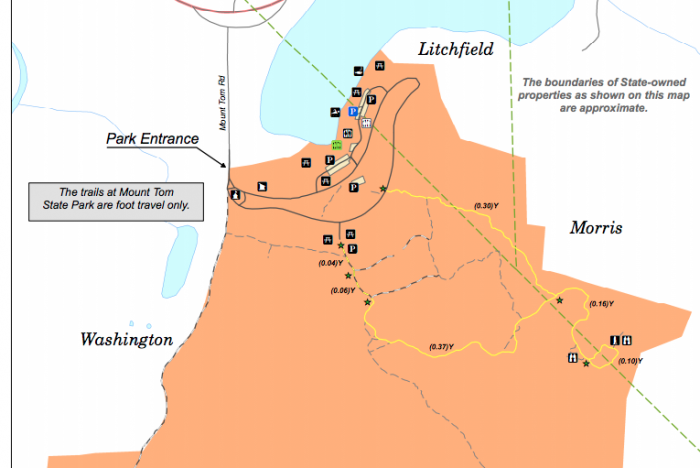 The tower itself is in Morris, and you can park and hike up to it by avoiding the town of Litchfield if that’s something you’d like to do for some weird reason. 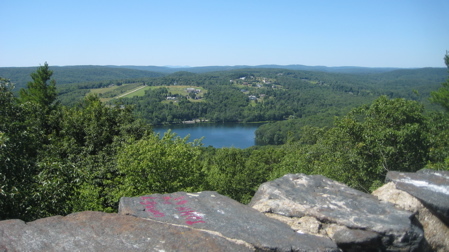 According to Berkshire Hiking, “On an extremely clear day, Long Island and the outskirts of New York City are in view with a good pair of binoculars. ..100 miles away (but this is extremely rare).” It was hazy during my visit, but the views northwest (past the lake where my wife and child were cavorting) to Bear Mountain and Mts Everett and Race were nice enough for me. Breath taking views from this vista and doesn’t take long to get to via the trail. Great place to take your lady guys for some romance. As long as nobody else is around. Great idea. I’m going to take all my lady guys there tonight.